The best-selling classic that blends truth and fiction in a “devastating indictment of American policy” (New York Times Book Review). A piercing exposé of American incompetence and corruption in Southeast Asia, The Ugly American introduced readers to ignorant politicians, arrogant ambassadors, and the titular “ugly American”―whose empathetic and common-sense advice they ignore. 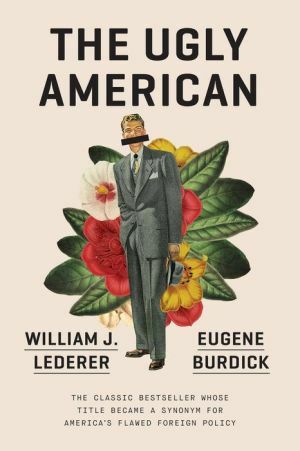 Set in the fictional southeast Asian nation of Sarkhan, Lederer and Burdick draw an incisive portrait of American foreign policy gone dangerously wrong―and how it might be fixed. Eerily relevant sixty years after its initial publication, The Ugly American reminds us that “today, as the battle for hearts and minds has shifted to the Middle East, we still can’t speak Sarkhanese” (New York Times).